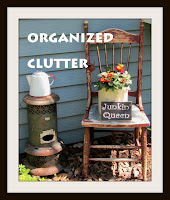 I up-cycle, re-purpose and decorate with junk 365 days a year! Yes, even seasonally and for holidays too! See how I made this from a thrift shop find HERE. Do you like what you are seeing? 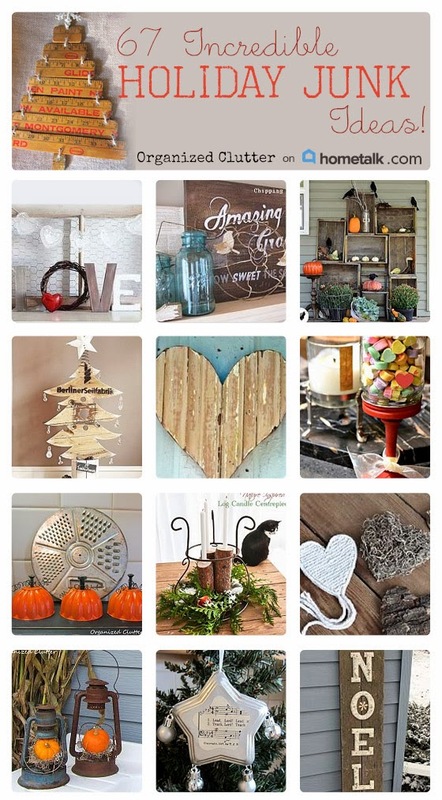 Are you inspired to decorate for the Holidays and Seasonally with JUNK? IF SO, I am pleased to present my newest Hometalk Clipboard HOLIDAY JUNK. The clipboard includes the above projects and much more of my junk, as well as the HOLIDAY JUNK from a lot of other Junkin' Hometalk contributors to boot! Click the link HERE to follow my newest Hometalk board! And, while you are there check out some of the other great clipboards and contributors at Hometalk. I love all your "junk" decorations. I am pretty new to your blog. I love how yhou use, reusr and upcycle vintage goodies!